Please wear your leather if you have it! Get ready for Maryland Leather Weekend this November! 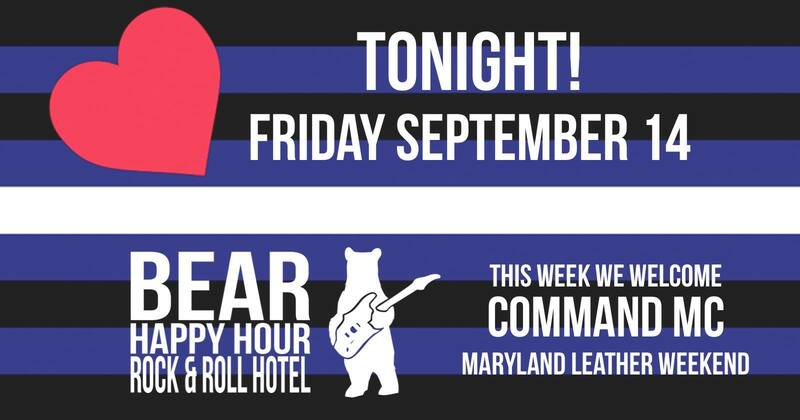 COMMAND MC will be joining us this Friday to raffle off a jock strap and a pig pass for Maryland Leather Weekend. Check out Maryland Leather Weekend for more info.